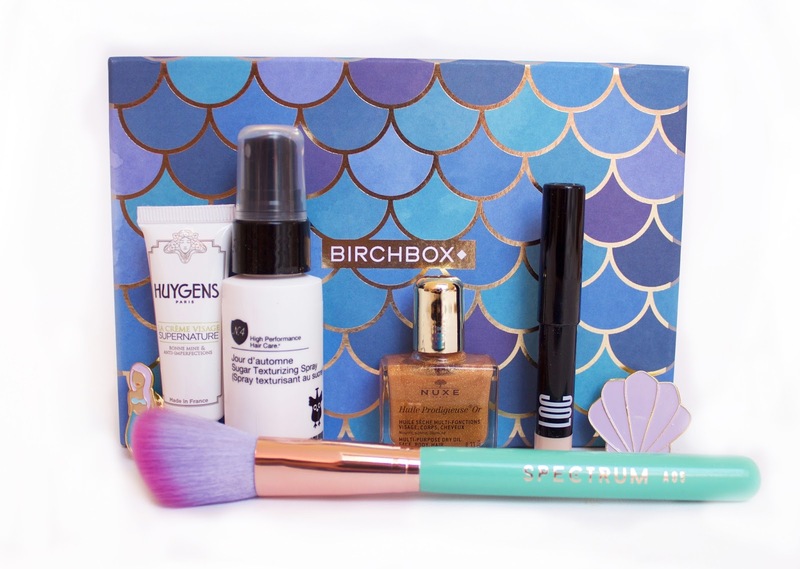 This month's Birchbox is mermaid themed with a box of treats created to make waves! I love the cute shell and mermaid pins you get with the box too! My favourite item from the box is the Spectrum brush, it's angled so perfect for contouring and I've been using it everyday. I also love how colourful the brushes are which means they're easy to spot in your makeup bag! The bristles are synthetic and animal friendly which is an added bonus! The Nuxe Dry Oil Shimmer is a long term favourite of mine and I always love receiving these in the boxes, you can use it on your skin, body or hair. I tend to use it on my body to add a really pretty glow to my skin. I have tried the LOC Shadow Sticks before, they're a really soft pencil which blends easily to create the perfect base for eyeshadows. This shade is a brand new shade and is a pretty champagne colour, so versatile for any kind of makeup look!